Got to school (Fullerton College in California), nothing wrong with the car. 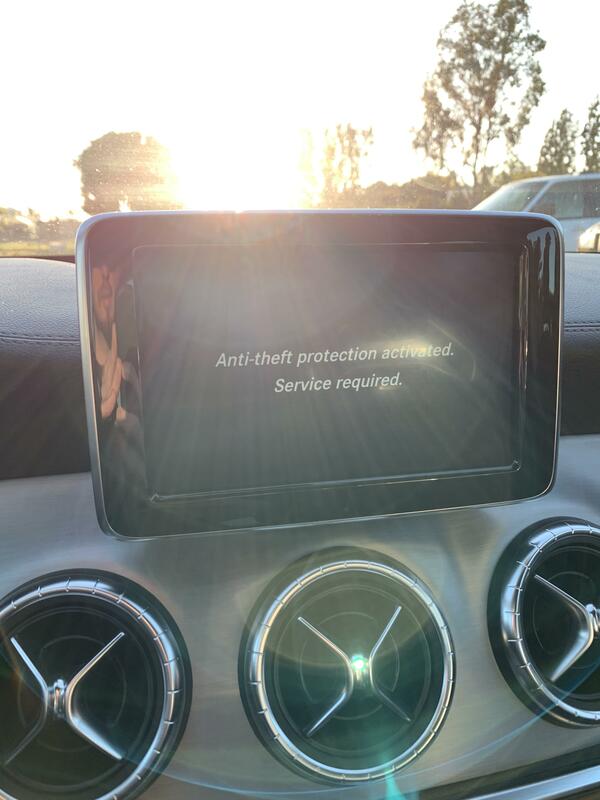 I go to class, and when I return to the car, I get this screen. Can’t listen to music or anything. What makes it go away? I feel like I need to call an exorcist, with all the bad luck I’m having with the car these past few weeks.